I used to be afraid of being alone. Now am more afraid being around the wrong people. The only thing we have to fear, is fear itself... and spiders! Happy Halloween! What makes people great is the ability to overcome defeat. Though sometimes it may be tempting to sit and be still fearing that you may encounter defeat again, and fearing that you may not be able to overcome the road blocks in your way to your destiny, one must overcome this temptation of this paralysis in life, and continue to move forward. The man who is powerful FEARS nothing; not even God. The POWERFUL man loves God, but FEARS Him never! Enduring power never grows out of FEAR. Any power that is built upon FEAR is bound to crumble and disintegrate. Understand this great truth and you will never be so unfortunate as to try to raise yourself to power through the FEARS of other people who may owe you temporary allegiance. Fear is the frightening thought that causes anxiety or worry. 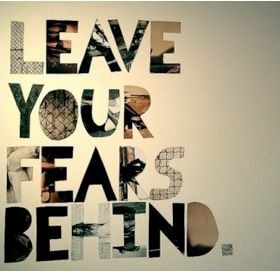 Fear gives you negative thoughts and reduces your self confidence. Fear must be present only while doing unwanted immoral actions and not for darkness or anything else. Fear is the first hindrance towards for all your actions. A coward is never appreciated but only made fun of by others. In contrast, one who is fearless to tread any path wins the appreciation and gains a lot of confidence and courage. Fear has the tendency to spread like wild fire and is also contagious. Hence, we should keep fear out. Fear increases the challenge and will not help to come out of the crisis. But when we try to analyze after a while, we see that it was highly silly to have developed fear for such trivial things and we try to scoff at it. “Fear is the lengthened shadow of ignorance “said Arnold Glasgow. The first step towards wisdom is to conquer fear and remove it from our minds. So, be wise.